To find the ants nest inside can be a little tricky . In fact if you can't find it you will have to use chemical or baits that have the transfer effect. This enables us to destroy the ants nest but can take a little time as we dont want to kill them straight away. This gives the treatment time to spread and kill the colony. Treatments can take up to 2 weeks before they are gone. To find the ant nest will be the optimum in getting rid of them . In fact direct ant nest treatment will destroy the nest but often the ant nest is hard to locate . Next best option is to treat where the ants are tracking. However the right chemical or bait must be chosen.Therefore identification of what ants that need treating is important. In fact some ants eat protein and others eat sugar based products. Also some types of ants alternate their feeding between the both. Generally there are only 2 types we find internally which are the Black house ant And the Coastal brown ant. Due to their size they easily enter our homes and make it their home. In fact the ants will nest anywhere and we have found them nesting in alarm clocks and even televisions. Generally the ants usually nest in our wall cavities, roof voids and under our kitchen and bathroom cupboards. In fact at CERTIFIED HOME SERVICES our internal ants treatment comes with a 12 month service warranty. Furthermore if the ants are not gone after 2 weeks we will come back and re treat at no cost until they are gone. Also the treatment is safe for your family and pets. IF YOU SPRAY ANTS WITH INSECT SPRAY FROM THE SUPERMARKET IT WILL GENERALLY MAKE THINGS WORSE. Getting rid of ants on the out side of your home. 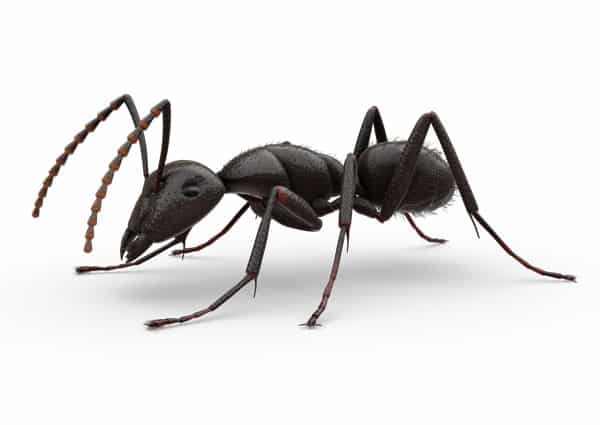 In fact many homeowners struggle to get rid of ants with DIY ant control. Small problems usually become big problems . The reason why the DIY ant treatment doesn't work to well as most are only direct application and only kills on contact. There are some products that have a residual, but this still requires the ants to walk over it and it only kills on contact. So you actually need a treatment that will spread to get the ants under control. Not like the internal ant treatment our outside treatment only has a 3 month warranty due to outside pressures . Like the inside the most common is Coastal Brown ants and Black house ants. Also there is the good old green headed ants which is quite a regular and these guys HURT and can be a problem for your children and pets. You definitely want to get rid of these ants. In fact we encourage a regular external ant treatment , generally every 3 months at first . However the ant treatments can be extended out after the first 2 treatments . In fact we use one of the best products on the market TERMIDOR . The main use of Termidor was used originally for termites but now it can be used for all ants. We Also use Ant sands, gels and baits to get on top of the problem. All the products we use have the same process of transfer effect. The active in these treatments is Fipronil. Which is one of the most used products today because of how effective it is. Also it is a lot safer for our family and pets. and will go along way to get rid of ants. We service all of Brisbane , Gold coast , Logan and Ipswich.